The thriller Bird Box on Netflix is reviewed by the Lantern. On December 13, 2018, Netflix released another one of its original movies. However, this movie was a big contrast to other Netflix originals like To All the Boys I’ve Loved Before. The new thriller, Bird Box, stars Sandra Bullock, Trevante Rhodes, Sarah Paulson, and Machine Gun Kelly. Bird Box is set in a post-apocalyptic world after a dark force has killed the majority of the world’s population. The only way to avoid the fatal wrath of this dark force is to wear a blindfold. If one goes outside and sees the dark force, they commit suicide. In a small town, the few surviving locals take shelter in a boarded-up house even though they’re all drastically different from each other and can’t get along. They come up with many clever tactics for navigation and warning signals. 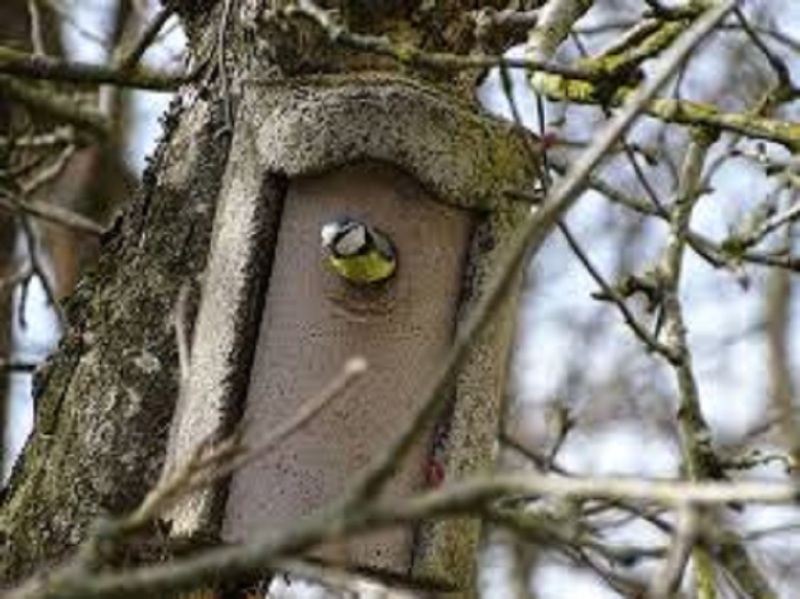 Canaries chirp when this dark force is present, so they put the canaries in a box whenever they go outside, hence the name “Bird Box”. Eventually, the dark force dwindles down the numbers of the survivors, leaving only Malorie (Sandra Bullock), her children, and Tom (Trevante Rhodes). These four encounter many challenges along the way and eventually Malorie is tasked with one decision that will determine the fate of her and her kids. Bird Box is listed as a thriller, however, some would consider it a horror movie. The movie does get a little gory and inappropriate at times, but this added to the overall tone of the movie. When I clicked the play button, I didn’t know what to expect at all. However, the somber tone of the first scene gave me a forecast of what was to come. The director chose a unique way of telling the story by showing the characters in the present, then flashing back to how the characters got there. The movie Bird Box really stood out for the unique decisions that were made when making the film. The way the story was told was very different compared to traditional movies. It was told in a way which we see how the characters changed over time. The landscape changed as well because as more people died the world seemed to look deserted. The camera was also another unique aspect. At some points, the camera shot was blocked by a blindfold which was meant to make us feel in the position of those in the movie. Overall, the movie was well thought out and essentially felt real or as if this could happen. Characters were another component that made the movie feel real and raw. Bird Box has a cast that many people can recognize. Sandra Bullock gives another powerful performance as a mother of two and a survivor of the dark force. Bullock’s character is a stubborn and witty woman who will do anything to protect her kids. The character diversity really added to the idea that what was happening was real. Another example is Trevante Rhodes who played a vet who falls in love with Malorie and takes on the task of protecting her and her family. Sarah Paulson plays Malorie’s happy-go-lucky sister who unfortunately succumbs to the dark force early in the movie. All the characters were portrayed by marvelous actors who really brought their character to life which makes Bird Box an outstanding movie put out by Netflix. In addition to the complex plot, this thriller had an important underlying message. Bullock’s character was a big outsider. She ignored her family and viewed being pregnant as a burden. She doesn’t even give her kids names, she calls them just Boy and Girl. As the dark force takes everyone she loves, she realizes that she must allow herself to love to keep herself from hurting any longer. Once she finally lets people in, things start to turn around, so she and her kids can find peace. If you look beyond the gore of the movie and focus on the complexity of the characters, you’ll realize that Bird Box is a powerful movie that will have you sitting on the edge of your seat, and rooting for your favorite characters. Maybe you’ll even think about shoving a canary in a box or putting a blindfold on the next time you go outside.